The Eustis Lake Walk is a new addition to the town. It is a modern concrete boardwalk with beautiful iron gates and railings where you can walk the lakefront and may even see someone catch a fish or two. 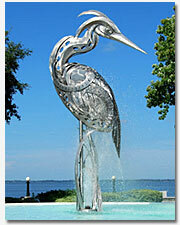 The Lake Eustis Foundation was established to develop the new downtown area opened by the hospital's departure. New retail/office space is being planned on the first floor and 2 story townhouses above street level. The City of Eustis' motto is "The City of Bright Tomorrows". 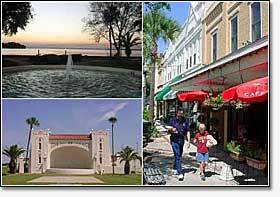 Nowhere is a motto more fitting than on this beautiful Florida City on the Lake.